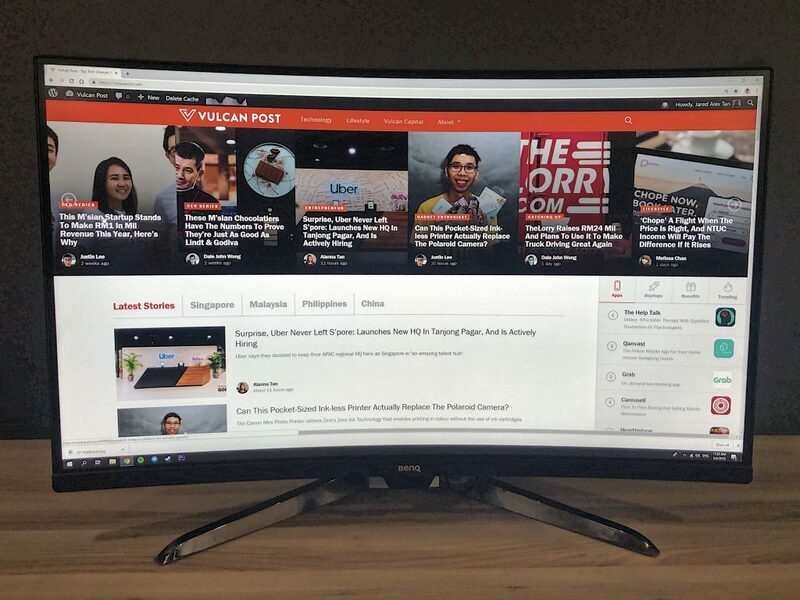 When I built my first PC back in 2017, a monitor was one of the costlier parts of my setup — the 24-inch Samsung monitor that I eventually went with cost S$648, and that size was as good as it got at that price point. Two years is an eternity in the tech landscape, however, and much has changed since then. For the same price you can now get a much bigger screen, and features that were once considered high-end are now a lot more ubiquitous. The BenQ EX3203R is a perfect example of this, and for someone who’s never used a monitor more than 30 inches before, this is a game-changer I never knew I needed. The first thing you’ll notice about the EX3203R is how premium it looks – despite being marketed as a gaming monitor there aren’t any intimidating edges or gaudy red accents, instead opting for a sleek, professional aesthetic that won’t look out of place in an office. And for those who haven’t upgraded their monitors lately or are just accustomed to the laptop life, using the 32-inch display is nothing short of liberating. Whether it’s for work, gaming or Netflix, the extra real estate provides an almost theatre-esque level of immersion that you simply won’t get with a smaller screen (seriously, sit close enough and it’ll pretty much cover your entire field of view). On the resolution side of things, a 2560×1440 Vertical Alignment (VA) panel complements the 32-inch dimensions well, striking a good balance of screen size, image quality and colour representation. The curved design is another nice touch, though it honestly doesn’t do much to improve the viewing experience. As a gaming monitor it also comes with all the bells and whistles you’d expect from one. 144hz refresh rate makes for silky smooth visuals, and the relatively new Freesync 2 technology builds on that while making your purchase future proof at the same time. 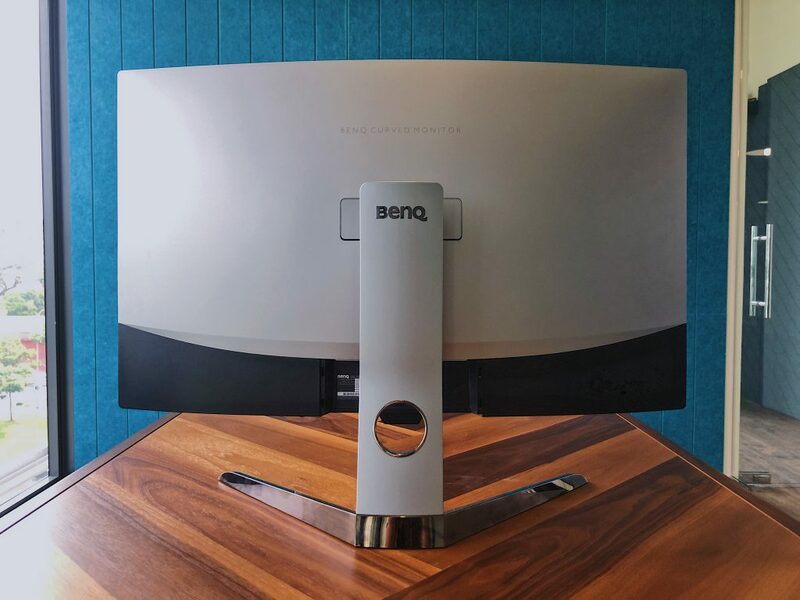 Of course, what BenQ is offering isn’t exactly revolutionary — there are other brands who offer similar monitors at the same price point, but what sets the EX3203R from the competition is the inclusion of High Dynamic Range (HDR) 400 support. For the uninitiated, HDR expands the range of colour and contrast to create much more vibrant image. This creates an aesthetically pleasing “popping” effect, and is especially effective for movies and video games. It isn’t that clear cut in reality, though. The exact definition of HDR is contentious and graphics enthusiasts might argue that this entry-level standard isn’t true HDR, but the average user will appreciate the boost in colour performance nonetheless. The EX3203R also comes with something called Brightness Intelligence Plus (B.I+), which automatically adjusts the brightness and colour temperature to suit your surroundings. While other monitors usually deactivate HDR when the brightness is adjusted, this technology helps to maintain vivid graphics while adding an extra layer of convenience at the same time. Lastly, the EX3203R can (and should) be used with the PS4 Pro and Xbox One as well (it comes with two HDMI ports and one DisplayPort, so you shouldn’t have a problem connecting all your devices). HDR support allows the monitor to unlock the full visual potential of these consoles, and the size is large enough to provide a television-level experience. With media consumption slowly moving towards computers (does anyone under the age of 50 still watch channel 5 these days?) the EX3203R is more than a viable choice for an all-purpose monitor. 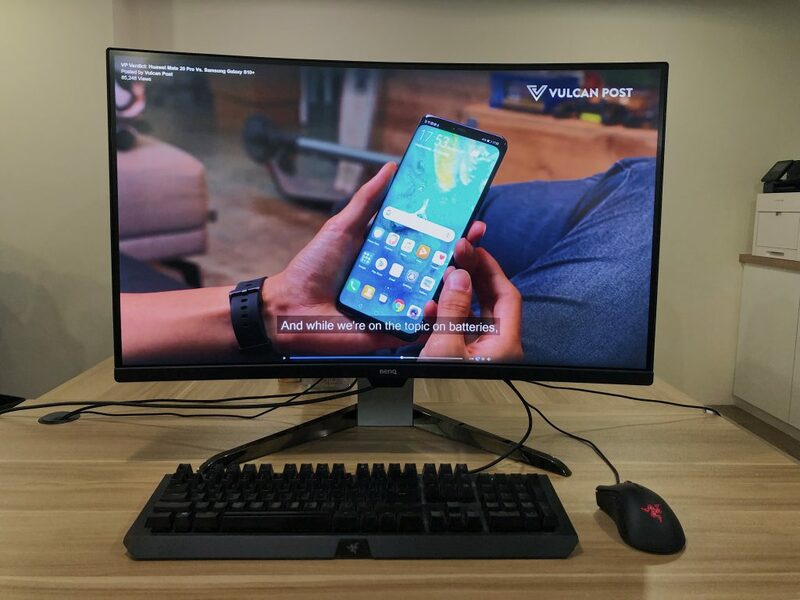 Compact enough to fit on your table yet wide enough to meet all your work and entertainment needs, it ticks all the boxes for a dependable gaming monitor, and will probably for at least a few years before a bigger and better one inevitably comes around. In spite of its extensive catalogue of features, however, the biggest selling point of the EX3203R will probably still be its S$799 price tag. 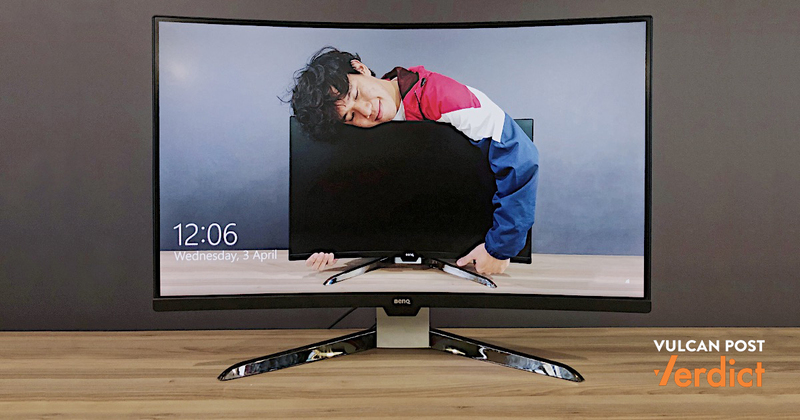 It’s an incredibly attractive price for what you’re getting, and considering how integral monitors are it really doesn’t make sense to buy anything in the 20-inch range anymore. It looks like we’ve entered a golden age in PC building where you don’t have to break the bank to get a decent monitor. If you’re in the midst of building or upgrading your setup, the EX3203R is definitely worth checking out. For more information on the EX3203R, head on over to the BenQ website. For more monitors with B.I+ technology, visit BenQ’s official store on Lazada.